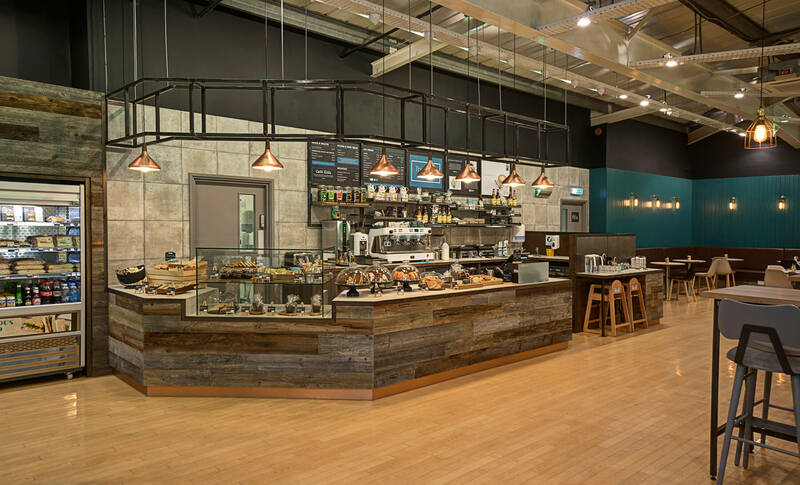 Benchmark redesigned a mezzanine level restaurant for OUTFIT within its Nottingham store. Challenged with designing a complimentary café food offer, the concept design acknowledged the history of the lace industry within Nottingham, which inspired the narrative of the interior. An eclectic style was used across the scheme to evolve an industrial feel with traditional overtones to reflect the era of the lace industry. Communal seating areas balanced with comfortable lounge and thoughtful lighting created an ideal space to relax and unwind from a busy day shopping.